Nicola Fielding BSc (Hons) Lic Ac, MBAcC, ITEC,Dip (AIT). Nicola discovered the many benefits of acupuncture when she began having treatment some years ago. Her GP was unable to offer solutions for some uncomfortable symptoms she had at the time and so she turned to acupuncture for help. 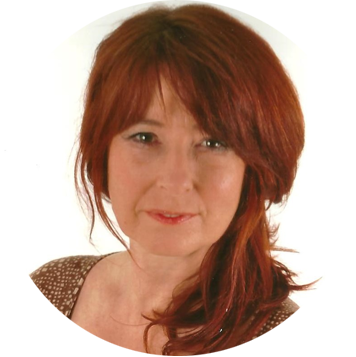 Nicola was so enthused by treatment, and by her practitioner, that she decided to train as an acupuncturist herself and, even at the same school as her practitioner – The College of Integrated Chinese Medicine in Reading. She now provides treatment to others in the Thorpe Bay/Southend/Leigh area. Nicola's background is in the NHS, where she worked as a medical secretary and later as a complaint's coordinator for many years. She has great respect for the work of the medical profession but felt that, all too often, there were gaps where conventional medicine could not help. This was another deciding factor in Nicola's choice to train as an acupuncturist. Nicola trained for three and a half years on a degree course in Reading. She is a member of the British Acupuncture Council (BAcC) which means that she is fully insured and is obliged to work to the strict standards laid down by BAcC. The BAcC require their members to undertake continuous professional development courses. Nicola has attended such courses in line with her own special interests which include; sleep problems; digestive system problems like bloating, constipation, IBS; women’s health in mature years and cosmetic facial acupuncture – all of which are born out of her own problems and understanding in these areas. Japanese Acupuncture, a softer but equally effective style which is particularly useful in treating patients who are sensitive or who may be concerned about trying Traditional Chinese acupuncture. Auricular (ear) acupuncture which is particularly helpful in treating emotional problems like anxiety and hormonal problems. Battlefield Acupuncture is modern system of ear acupuncture that is used to reduce levels of pain. Scalp acupuncture, stimulating points on the scalp has found to be effective in treating diseases of the brain. It can also assist in cases of numbness, tremor, neurological symptoms and symptoms following a stroke. Cosmetic facial acupuncture – a combined treatment, like having two treatments in one. As well as treating specific areas on the face, other health issues are also treated using any of the above systems. Nicola is also a qualified massage therapist, and may combine acupuncture with massage. She also offers a range of massage treatments. Nicola cares very much about helping people to feel better. Please call her for a chat if you would like to know more about acupuncture and/or massage and whether this could be the right treatment for you. Home visits available for elderly or disabled persons who are unable to travel and concessions for those on low income.